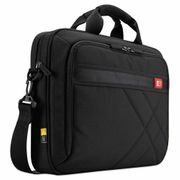 Case Logic Diamond 17" Laptop Briefcase, 17.3" x 3.2" x 12.5", Black. 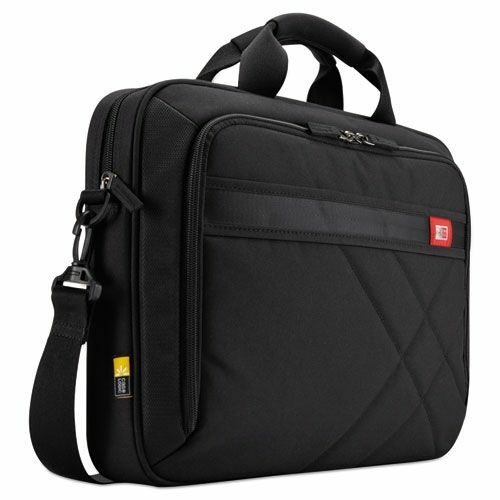 Modernized for today's casual professional, this asymmetrically quilted case carries a laptop, tablet and your business needs within a deep exterior. 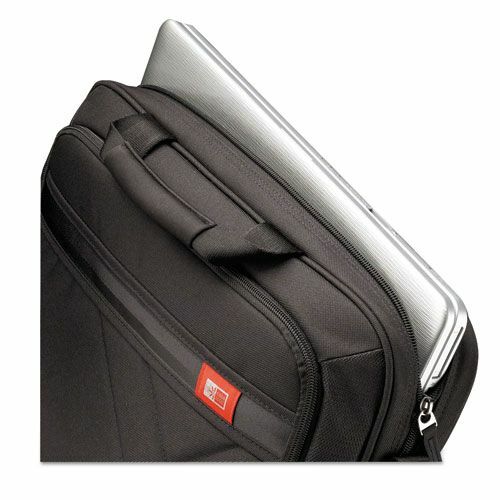 Dedicated laptop compartment fits laptops with up to a 17" display. Neoprene-padded carry handles and a removable no-slip shoulder strap provide comfortable carry options.